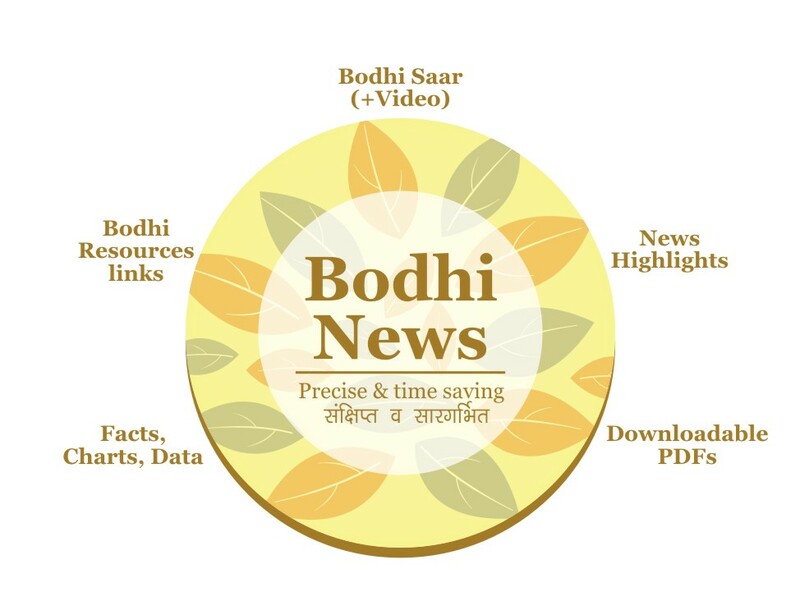 Welcome to Bodhi News for 01 May, 2017 - from Bodhi Booster knowledge portal! 2. Regional politics – During the SAARC summit in Nepal in November 2014, Prime Minister Narendra Modi had announced the launch of a SAARC satellite for SAARC nations for the benefit of members in various fields. The satellite – South Asia Satellite (SAS) – will be launched on May 5, 2017. This will facilitate the SAARC member nations in telecommunication, tele-education and tele-medicines. Pakistan has refused to be a part of it. 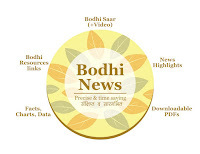 Excellent content on SAARC available on Bodhi Booster portal here. 3. World politics – Turkish President Recep Tayyip Erdogan arrived in New Delhi on a two-day visit to India. This is his first foreign visit after April 2017’s referendum that changed Turkey’s State structure from Parliamentary to Presidential. He will meet the top Indian leaders during the visit. India and Turkey will discuss various bilateral issues including security, terrorism and economic cooperation. Erdogan had visited earlier, but as the PM of Turkey. The recent years have witnessed Turkey’s key role in stemming the immigrant crisis in Europe, and as a key state in the emerging NATO-Russia-EU tensions. Read high-quality content on Turkey here. 4. Indian economy – Talks on mergers and consolidation of state-owned banks have revived once again due to the huge problem of large-scale bad loans in the Indian banking system. The public sector banks roughly have a 70% market share and many of them are hugely stressed. This time, the talk for consolidation is centered on bad loans. Unfortunately, the forward movement is not happening at the desired pace, as of now. Lot of useful study material on NPAs on our knowledge portal here. 5. Terrorism – After the recent Naxal attack on CRPF troops at Sukma in Chhattisgarh, killing 25 CRPF personnel, the Centre seems determined to launch an all-pout attack on the red terror. The government has entrusted the task to NSA Ajit Doval. It now seems that the Army could play a bigger role, with its officers leading the paramilitary forces to eliminate the Naxal menace. Do study our Bodhi Saar Special on Naxalism here. 6. Indian economy – Data collected by the Khadi & Village industries Commission (KVIC) reveals that during 2016, sales of village industries products, or Gramodyog, increased by 24% to reach around Rs. 50,000 crore for the first time. Although the government’s efforts to promote Khadi and other village products cannot be undermined, the main reason for the increase is the favourable inclination of the consumers towards these products. 7. World economy – The first ‘Silk Road” train, linking China directly to the UK reached the eastern Chinese city of Yiwu, covering a distance of 12,000 km, becoming the second longest rail route. This is China’s latest effort to strengthen trade links with Western Europe along a modern “Silk Road” route under the “One Belt One Road” strategy. Study all about OBOR on our portal here and here. 8. Renewable energy – Some of the world’s biggest pension funds, seeking long-term returns on green investment, are keen on deals in India’s solar power sector, where Prime Minister Narendra Modi is targeting $ 100 billion investments in the next five years. India estimates peak electricity demand to be more than four times in the next two decades to 690 gigawatt, which would require fast growth in generation and transmission capacity. Useful material on renewable energy here and here. 9. Indian politics – Government’s think-tank, NITI Aayog has suggested a synchronized two-phase Lok Sabha and assembly elections from 2024, so as to ensure minimum campaign-mode disruption to governance. Implementing the proposal may require a one-time curtailment or extension of some state assemblies. Study our Bodhi Saar Special on NITI Aayog, here. 10. Science and technology – Google – whose CEO is an Indian Sundar Pichai – has announced a new “Solve for India” initiative, especially for tier-two cities like Pune, Jaipur, etc. The programme would provide a platform for developers, entrepreneurs in tier-two cities to hear from experts and learn about the latest Google technologies and get access to direct mentoring and support from Google. There is growing concern worldwide about Google’s increasing monopoly power.